Located in the Mount Pisgah Cemetery, these new cremation gardens breathe fresh life into the air. Introducing the Gardens at Mount Pisgah. Thousands of trees, shrubs and flowers engage the senses. Splendid water features calm the nerves in a venue that inspires the soul. These are places to celebrate not only the life of a loved one, but also the precious moments of our lives. These are places where moments turn into memories. As the headquarters of the Campbell County Cemetery District, Mt. Pisgah Cemetery is without a doubt the crown jewel of all 9 of the districts cemeteries. 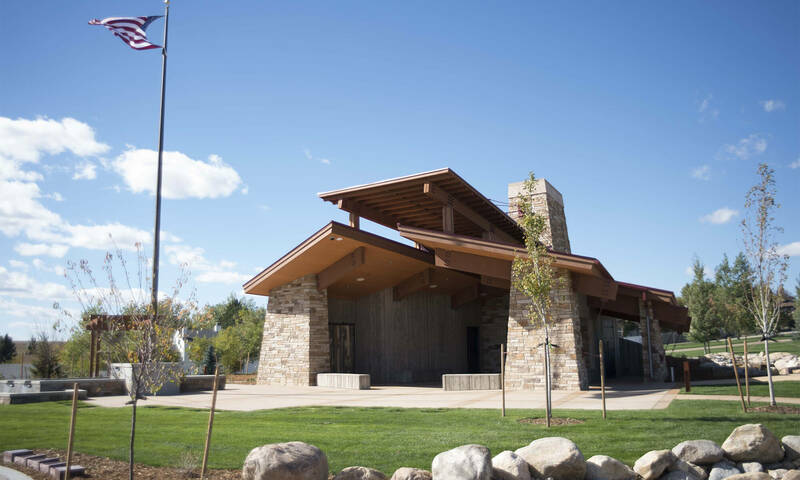 Located in the heart of Gillette, the 57-acre cemetery houses our office building, shelter and maintenance facilities, and our two new cremation gardens, Unity and Inspiration. Located approximately 6 miles south of Gillette on Highway 50, this quaint little rural cemetery is situated directly behind the Bethlehem Church. Located about 14 miles east of Gillette, this rural cemetery was established by the community in Rozet sometime during the early part of the 20th century. At 5 acres in size, this rural cemetery is the districts most active rural cemetery. Over the years the cemetery has added irrigated turf, trees and most recently paved roads within the cemetery. It is an oasis of beauty on the windswept sagebrush plain and is the pride and joy of the residents of the community of Rozet. 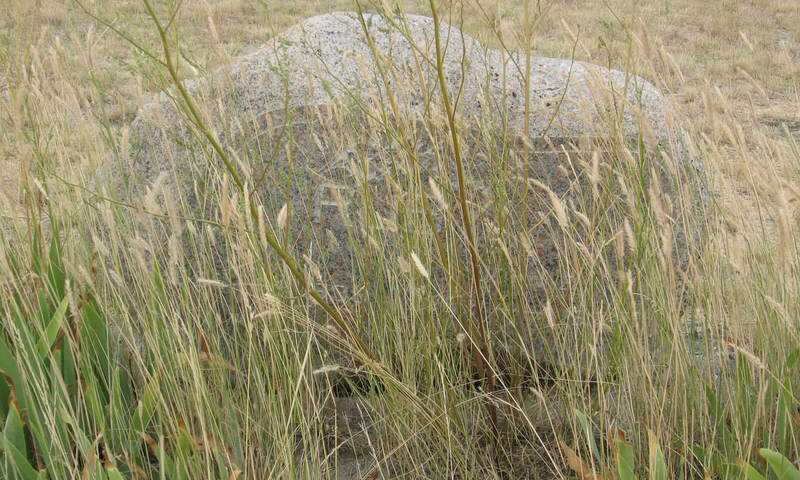 This charming prairie cemetery is nestled near the base of the Pumpkin Buttes and is not difficult to locate. Drive south on Highway 50 and turn right at the Savageton Bar, follow that road and bear to the left at the Y in the road. The cemetery is marked with two large spruce trees and is beautiful in the spring when it is blanketed with prairie wildflowers. 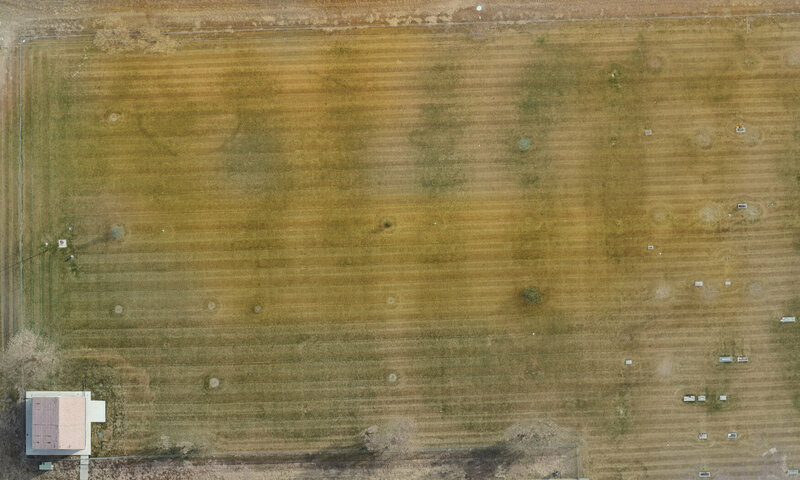 Located off Wright Boulevard in Wright, Wyoming. This is one of the newer cemeteries in the district. This cemetery serves southern Campbell County as well as the town of Wright. 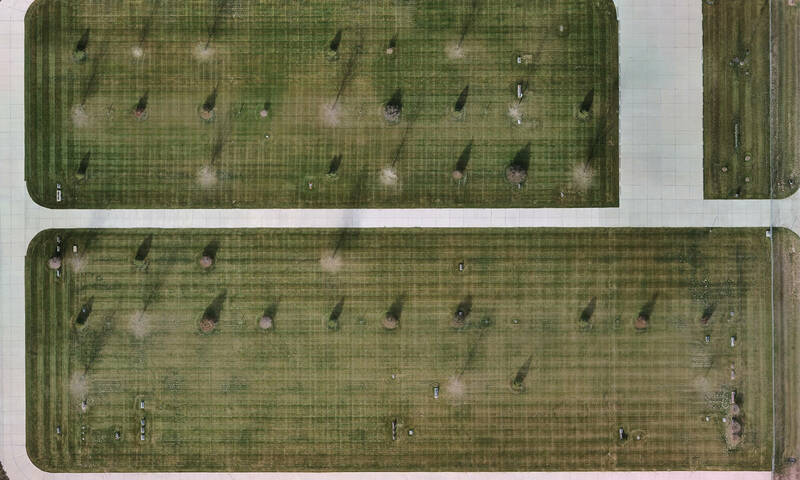 Approximately 5 acres, this cemetery is currently about half developed with irrigated turf and trees. 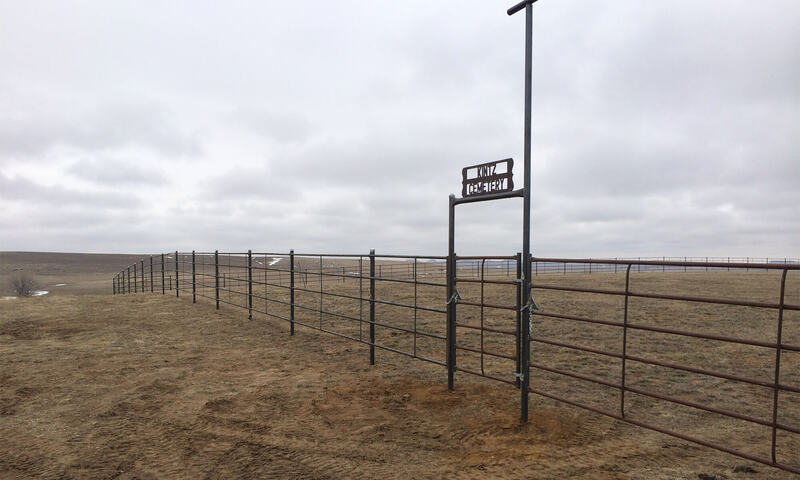 Nestled along the Powder River about 3 miles from the Montana border, the drive to this rural cemetery is one of Campbell County’s most scenic. Our smallest and oldest rural cemetery, the ER cemetery is steeped in the history of Campbell county and the surrounding area from a time when cattle barons ruled the prairies. The ER cemetery was named after the Reverse ER Ranch. The ranch was established by Frank Lavering in 1887 on the mouth of the SA Creek on the Powder River. 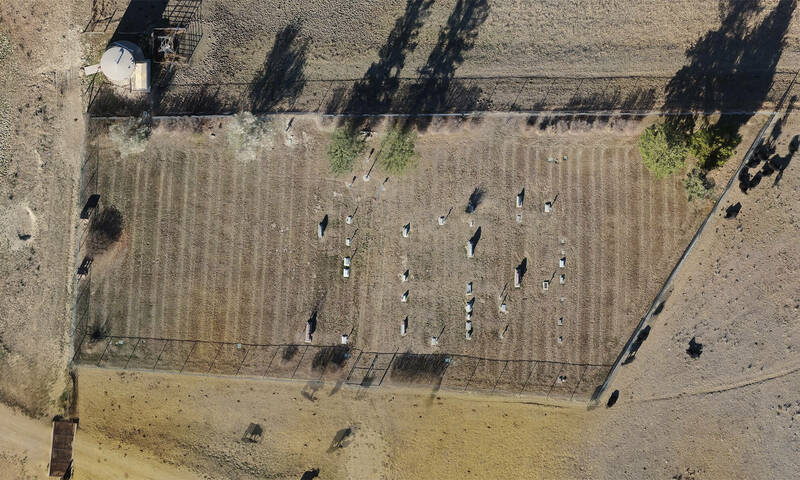 This rural cemetery is located right off Highway 50, at the Van Buggenum Road (marked). 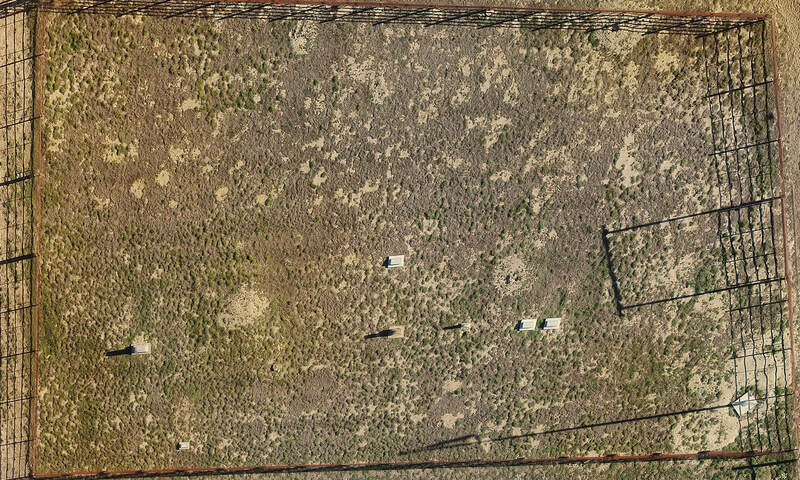 Formerly, the Ruby Ranch Cemetery, this acreage was deeded to the cemetery district some years ago in order to ensure the perpetual care of the graves there would be adequate for years to come. 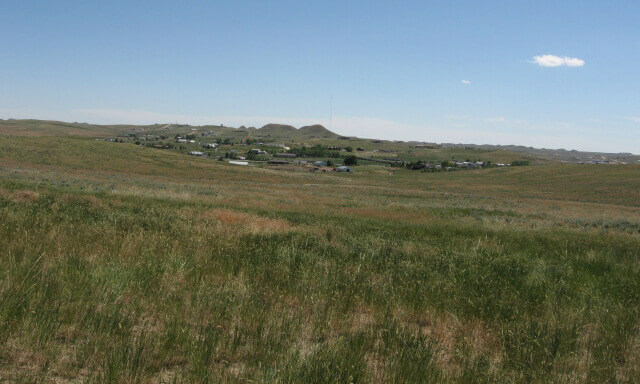 Located south of the Savageton cemetery, you can see the Pumpkin Buttes rise above the prairie in the western distance from this small ranch cemetery. Located near Pronghorn Elementary School in the southern part of Gillette. 200 acres of undeveloped land, Mount Nebo will be the site for future generations in Campbell County, when Mount Pisgah no longer has available burial space. At some future date, the site will be master planned as the next cemetery for Gillette and Campbell County residents. 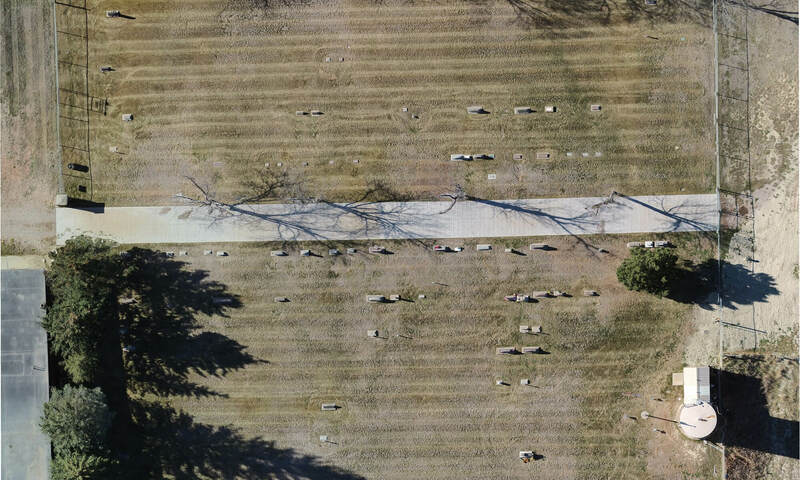 In 2009 the Cemetery District executed a preliminary grading project to rough the cemetery contours into a more workable landscape for cemetery purposes. Here at Campbell County Cemetery District our mission is to serve you, your family, and our community with the best cemetery tools and services. Search for a loved one. View their Memorial Pages. We are here to guide you through every step. If you have experienced a loss, please accept our condolences. Contact us now for immediate help. If you need assistance with memorial pages, as well as cemetery business, please contact Britney or Darin at the links below. If you wish to reach your elected Trustees, please choose one or all of the board members below. Welcome to the Campbell County Cemetery District Web Site. The Campbell County Cemetery District is headquartered at the beautiful Mt. Pisgah Cemetery in Gillette, WY. Formed in 1965, the district oversees and maintains all public cemeteries within the boundaries of Campbell County. Currently there are 9 cemeteries under our jurisdiction. The district is overseen by a publicly elected Board of Trustees. This site was created not only to assist the residents of Campbell County, but to also assist the relatives of loved ones across the generations wherever they might be. The tools on this site will allow you to do all of the things our staff does daily, but at your convenience, from the comforts of your own home. Things like 360-degree cemetery tours of many of our cemeteries and custom memorial pages that tell the life story of your loved ones with text, photos and videos. You will also be able to view custom tours of notable residents of our various cemeteries. 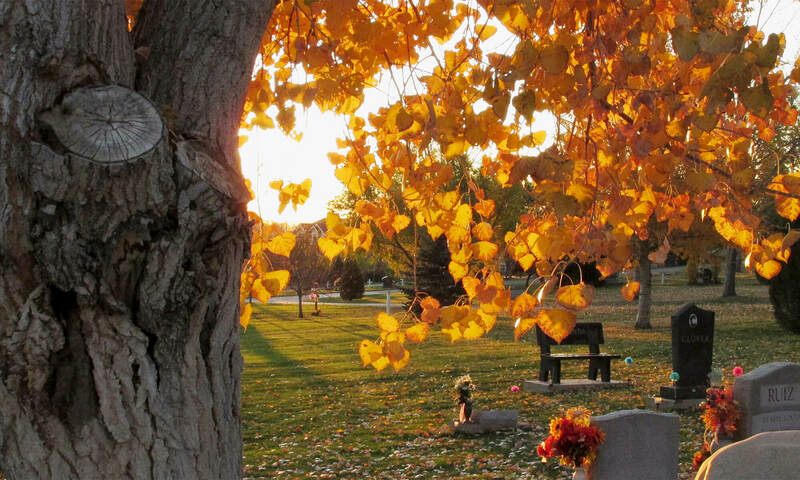 On our site you can search burial information for all of our cemeteries, see available lots for purchase, view our rates, policies and procedures as well as view a variety of public documents in digital format. These digital documents include minutes from board meetings, budgets, audits and resolutions. If you can’t find what you need, you can send your comments, suggestions, and questions via e-mail, or contact us by phone. Cemetery hours are 8:00 am – 5:00 pm Monday through Friday. Our mission is to serve you, your family, and our community with the best cemetery tools and services. The Campbell County Cemetery District is headquartered at the beautiful Mt. Pisgah Cemetery in Gillette, WY. Bethlehem Cemetery, E.R. Cemetery, Four Mile Cemetery, Mount Nebo Cemetery.